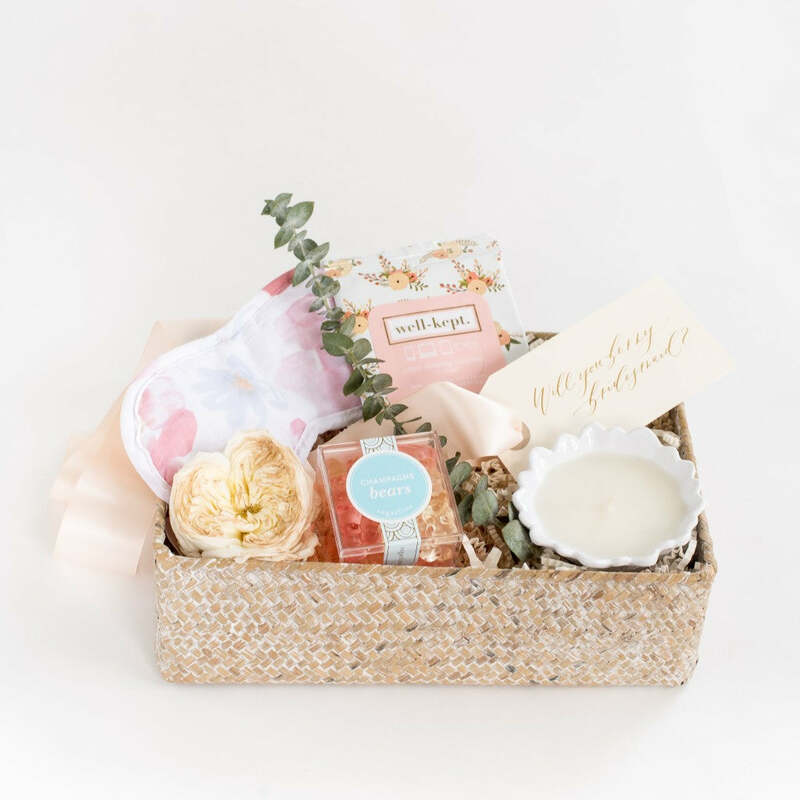 Recently, when our friend Heather Miller of Hitched by Heather Events told us she'd be appearing as a guest on WJLA Let's Talk Live to chat about wedding gifting trends, we were honored that she asked us to get involved! While many couples still choose to DIY their wedding welcome gifts and bridal party/groomsmen gifts, there is definitely a movement towards outsourcing these responsibilities so couples can truly enjoy the last remaining weeks leading up to the wedding. And this is exactly where our bridal party and groomsmen gifts come into play. Check out the segment HERE! Heather is a total natural! 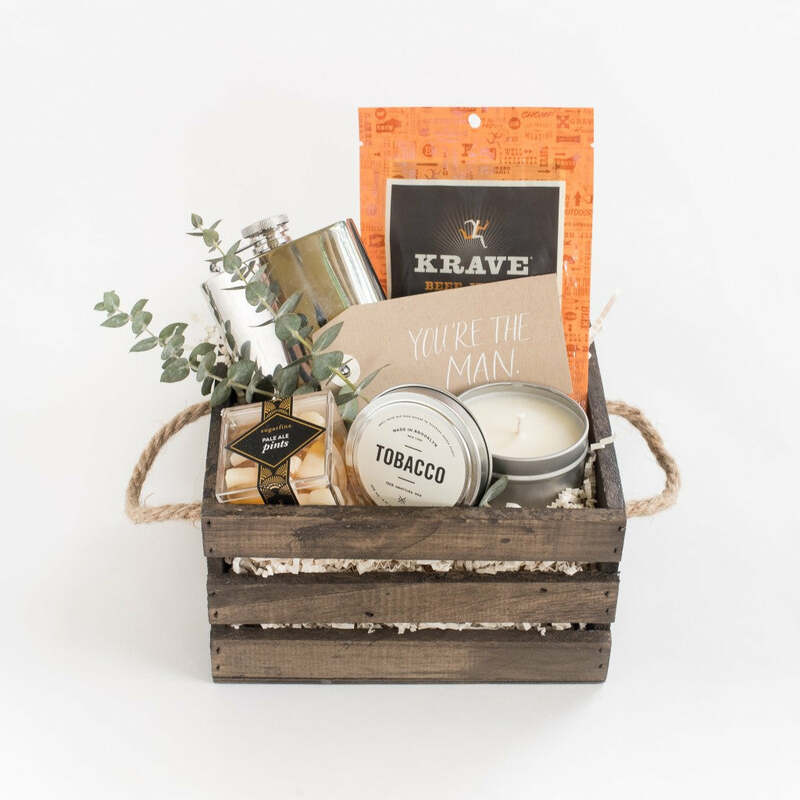 Heather specifically featured our signature You're the Man groomsmen gift crate as well as our Will You Be My Bridesmaid gift basket. Both of these gifts are available with free shipping in our online shop. Upon placing the order, we ship them out within 1-4 business days so even if you're the last minute type, you're still covered! 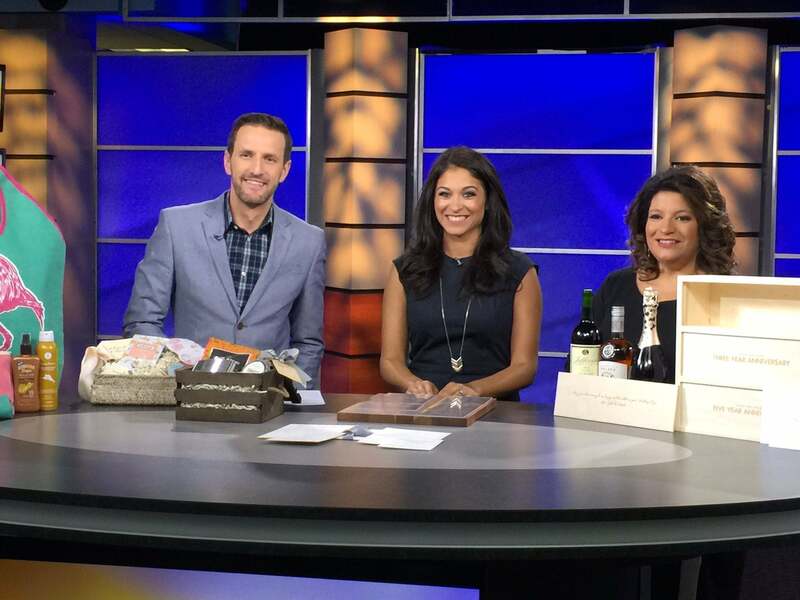 A huge 'thank you' to Heather and WJLA for welcoming our gifts on the air! Such an incredible honor! For more information on gifting with Marigold & Grey, please reach out via our contact page. We'd love to hear from you!